August 12 is the 224th day of the year(225th in leap years) in the Gregorian calendar.There are 141 days remaining until the end of the year. The Glorious Twelfth is the twelfth day of August, the start of the shooting season for red grouse, and to a lesser extent the ptarmigan in Great Britain and Northern Ireland. This is one of the busiest days in the shooting season, with large amounts of game being shot. The date itself is traditional; the current legislation enshrining it in England and Wales is the Game Act 1831. Not all game have the same start to their open seasons – most begin on 1 September, with 1 October for woodcock and pheasant. Since English law prohibits game bird shooting on a Sunday, the start date is postponed to 13 August on years when the 12th falls on a Sunday. Because grouse are not and never have been reared to any extent for shooting, their numbers fluctuate naturally from year to year. In recent years, the Glorious Twelfth has also been hit by hunt saboteurs, the 2001 foot and mouth crisis and the effect of sheep tick, heather beetle, the gut parasite Trichostrongylus tenuis and severe flooding and bad weather. In some seasons where certain moors are hit by low numbers of grouse, shooting may not occur at all or be over by September. Driven grouse shooting is the hunting of the red grouse, a field sport of the United Kingdom. It is popular because it provides a challenge due to the rapid flight of the grouse. The grouse shooting season extends from 12 August, often called the "Glorious Twelfth", to 10 December each year. 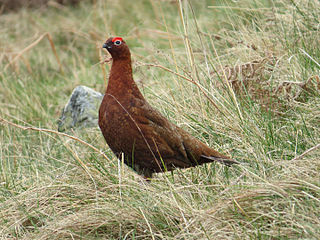 Shooting takes place on grouse moors, areas of moorland in northern England and Scotland. 1953 – The first testing of a real thermonuclear weapon (not test devices): The Soviet atomic bomb project continues with the detonation of "RDS-6s" ( Joe 4 ), the first Soviet thermonuclear bomb. 1960 – Echo 1A , NASA's first successful communications satellite, is launched. The Battle of Ascalon took place on 12 August 1099 shortly after the capture of Jerusalem, and is often considered the last action of the First Crusade. The crusader army led by Godfrey of Bouillon defeated and drove off a Fatimid army, securing the safety of Jerusalem. Abraham Zacuto was a Spanish astronomer, astrologer, mathematician, rabbi and historian who served as Royal Astronomer in the 15th century to King John II of Portugal. The crater Zagut on the Moon is named after him. 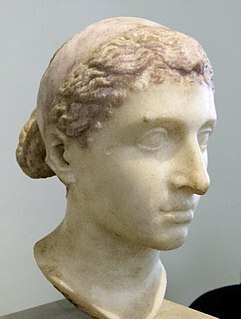 Year 1503 (MDIII) was a common year starting on Sunday of the Julian calendar. Year 792 (DCCXCII) was a leap year starting on Sunday of the Julian calendar. The denomination 792 for this year has been used since the early medieval period, when the Anno Domini calendar era became the prevalent method in Europe for naming years. Eusebius was Archbishop of Milan from 449 to 462. He is honoured as a saint and his feast day is 12 August. Saint Herculanus of Brescia was a bishop of Brescia. April 19 is the 109th day of the year in the Gregorian calendar. There are 256 days remaining until the end of the year. ↑ "Arms depot in Syria's Idlib province kills 39 – monitor". BBC News World Middle East. August 12, 2018. ↑ Wilson, Scott; Mank, Gregory W. (2016). Resting Places: The Burial Sites of More Than 14,000 Famous Persons. Jefferson, N.C.: McFarland & Company. p. 167. ISBN 978-0-7864-79924. ↑ "John Nathan-Turner". The Daily Telegraph. 7 May 2002. Retrieved 12 August 2018. ↑ Rose, Mike (August 12, 2018). "Today's top celebrity birthdays list for August 12, 2018". The Plain Dealer. Retrieved August 12, 2018. ↑ "15 Facts about Ladi Kwali: The Pottery Woman on N20 Note - ThisTrend Blog". 2017-03-17. Retrieved 2018-08-06. Wikimedia Commons has media related to August 12 . "Grouse's Day, Saint" . New International Encyclopedia . 1905.